Michael DePaolis, is among the most experienced and well-respected optometrists in the United States. As a member of the Flaum Eye Institute he examines and treats patients for a variety of vision conditions such as refractive error, glaucoma, ocular surface irregularities, contact lens complications, and more. He also co-manages cataract and refractive surgery and refers a variety of diseases and conditions requiring surgical intervention or advanced medical treatment to his colleagues at the Flaum Eye Institute. Dr. DePaolis is a graduate of St. John Fisher College in Rochester, NY, and the Pennsylvania College of Optometry. 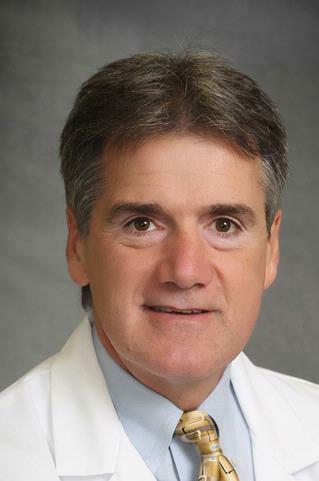 He has practiced in the Rochester community since 1987 and also serves as adjunct faculty at the Pennsylvania College of Optometry and provides optometric internship guidance to students of the State University of New York School of Optometry. A Fellow in the Academy of Optometry and the Editor of Primary Care Optometry News, Dr. DePaolis frequently serves as a clinical investigator in the disciplines of contact lenses and anterior segment care. The author of over 100 articles, papers and textbook chapters, he has lectured at over 400 eye care meetings worldwide. Dr. DePaolis is the 2007 recipient of the American Optometric Association Contact Lens and Cornea Section Luminary Award for Distinguished Practice and the 2010 New York State Optometric Association's Distinguished Achievement Award.